Iordanis Paschalidis and Konstantinos Trigonis lead into the final day of the F18 World Championship Sarasota, USA. The Greek team of Paschalidis and Trigonis added another race win to their scoreline on Thursday and now look set to take the F18 World Championship title. They have a 15 point lead over Michael Easton and Tripp Burd of the USA with Hans and Marius Van Dam of the Netherlands in third place. Paschalidis and Trigonis won the opening race ahead of the Van Dams, with Robbie Daniel and Gary Chu USA in third place. In the second race Taylor Reiss and Matthew Whitehead USA took their first race win and move up to fourth overall. In second place were Mitch and Ruben Booth ESP, who drop to sixth overall having to count a 15th from the first race of the day. 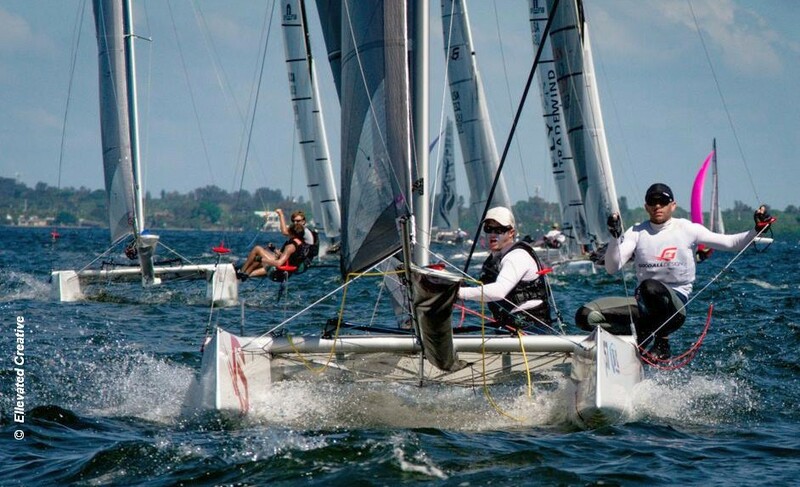 Third were Hernan Salerno and Andres Grimaldi ARG.